I would like to draw your attention to the weak position of the roof and ceiling. Rainy season is about to set in and the seepage is very likely to occur in the coming rainy season. (Describe in your own words). The ceiling needs to be repaired which would otherwise fall and may cause serious injuries and even death of my family members. (Explain the actual cause and situation). Plaster is shed off at many places inside the roof and on the ceiling, a new layer of plaster is needed. (Describe your requirements). The roof and walls may please be got painted after repairing to give a reasonable look inside. You are the owner of the house so it is requested to take urgent action in this regard. 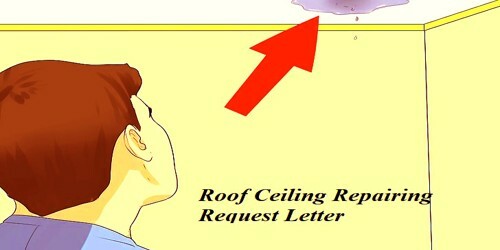 I am writing this letter to inform you that since the past couple of days the roof ceiling is dripping water and is likely to fall down anytime soon, (Describe in your own words). I wrote this letter a week ago as well but heard nothing from your end, therefore, I am asking you again to please fix the roof ceiling as soon as possible as I have a family and this is dangerous. (Explain the actual cause and situation).